Introduction to Unmanned Aircraft Systemssurveys the fundamentals of unmanned aircraft system (UAS) operations, from sensors, controls, and automation to regulations, safety procedures, and human factors. It is designed for the student or layperson and thus assumes no prior knowledge of UASs, engineering, or aeronautics. Dynamic and well-illustrated, the first edition of this popular primer was created in response to a need for a suitable university-level textbook on the subject. 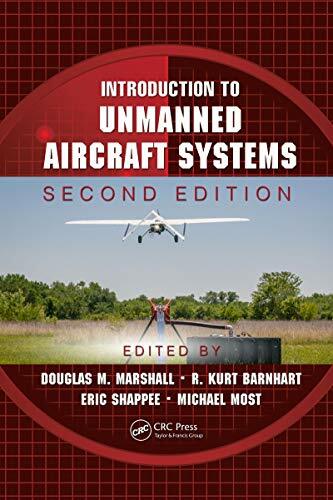 Introduction to Unmanned Aircraft Systems, Second Editioncapitalizes on the expertise of contributing authors to instill a practical, up-to-date understanding of what it takes to safely operate UASs in the National Airspace System (NAS). Complete with end-of-chapter discussion questions, this book makes an ideal textbook for a first course in UAS operations.